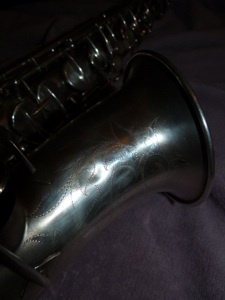 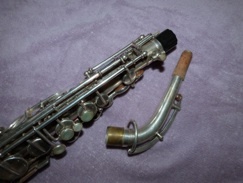 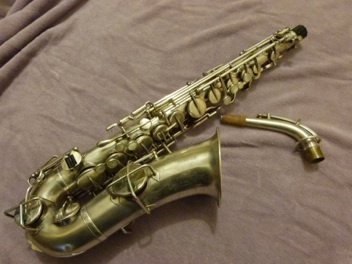 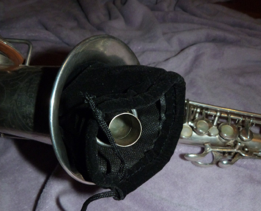 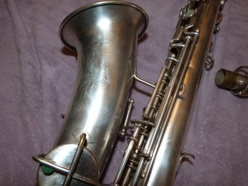 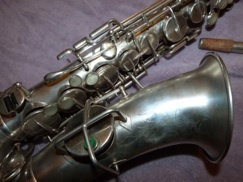 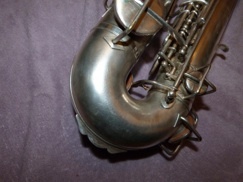 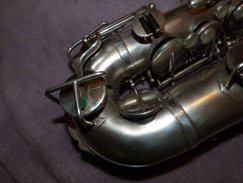 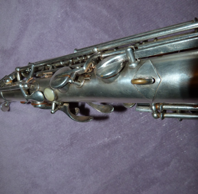 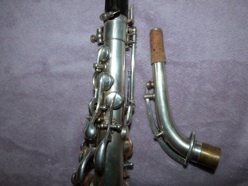 Silver plated Buescher TRUE TONE alto saxophone,1925. 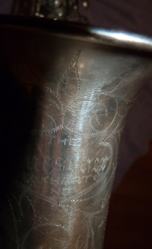 A few traces of wear here and there on the siver plating, 95% present. 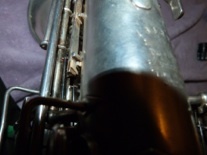 The brown marks, only present on the photo (light). 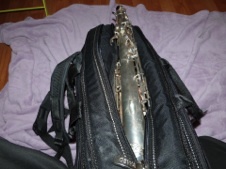 It was serviced recently by a professionnal repairman, it plays from top to bottom easily. 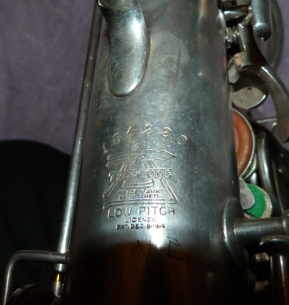 Very good overall shape, apart from a few tiny dings on the bell and low part.